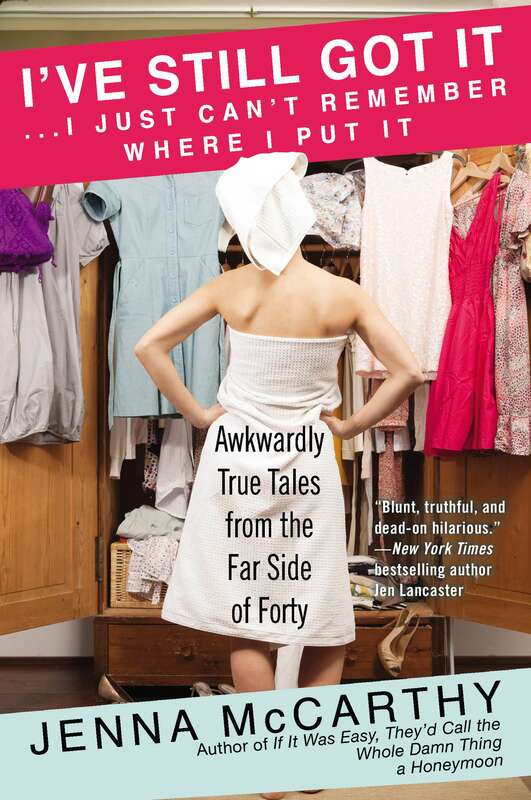 In the comic tradition of Jen Lancaster, Chelsea Handler, and Nora Ephron, Jenna McCarthy offers her own laugh-out-loud observations on the midlife years in I’VE STILL GOT IT…I JUST CAN’T REMEMBER WHERE I PUT IT: Awkwardly True Tales From the Far Side of Forty (Berkley Trade Paperback, July 1, 2014, $16.00), covering everything from vaginal rejuvenation surgery to bucket lists to why forty-somethings are so tired all the time. Jenna McCarthy might be forty-something, but she doesn’t feel forty-something. And between complaining about how tired she is, trying to remember what she came in here for and wondering whether she drinks too much, she does not have time for a crisis. Tackling everything from financial panic to skinny jeans and the meaning of life, I’VE STILL GOT IT…I JUST CAN’T REMEMBER WHERE I PUT IT is a middle age manifesto filled with hilarious misadventures, humiliating confessions and occasional (hot) flashes of genius. Jenna McCarthy is the author of six books and lives in Santa Barbara, California. For more information visit Jenna online at www.jennamccarthy.com, www.facebook.com/jennamccarthywrites, and www.twitter.com/jennawrites. Please click here to fill out the form!